Zion National Park becomes one with dusk in this abstract work by artist Todd Fendos. 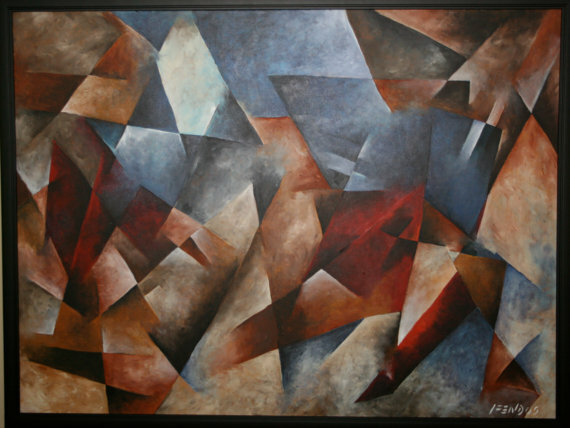 As the Sun captures the natural beauty and changing shape and color of the rock, so too does this work of Cubism. This canvas measures 36″ x 48″ and is painted with acrylic. To enjoy this contemporary masterpiece by artist Todd Fendos in your own home, please click on the link to Etsy.